VIDEO - PUMA: Antoine Griezmann. POWER UP. Unlock New Levels! Home / International Football / Worldwide / VIDEO – PUMA: Antoine Griezmann. POWER UP. Unlock New Levels! 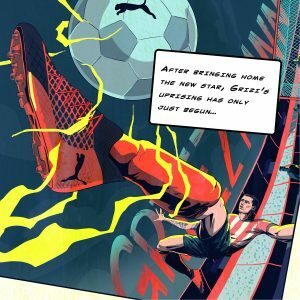 VIDEO – PUMA: Antoine Griezmann. POWER UP. Unlock New Levels! France and Atletico Madrid striker Antoine Griezmann blurs the line between the real and virtual worlds of football to POWER UP and unlock New Levels. Previous AIFF & WIFA to conduct Maharashtra phase of trials for Youth National Teams! Next Raymond Verheijen to tour India for 2nd Football Forward program!